This fall the National Organic Standards Board (NOSB) will meet in Jacksonville, Florida. Once again they will take up the subject of Hydroponic, Aquaponic, container and Bioponic production in organic. The fruition of this meeting may be to include or revoke these growing methods or to simply come up with definitions to clarify the process. However the NOSB decides these fit into the organic ecosystem is anyone’s guess, so it behooves all producers to understand the evolution of the dialogue, the differing views and the “Ponics” themselves. How do Ponics stand out from the herd? Broadly speaking “Ponics” are growing systems not produced in the outermost crust of the earth. Basic Hydroponics involves growing plants in mineral nutrient water solutions completely without soil. The roots are placed in a water-mineral solution or in an inert medium such as perlite or gravel that provides support. They are fed with compost tea and liquid organic fertilizers. Aquaponics is a system of producing food that combines aquaculture (raising fish, snails or prawns) and hydroponics (growing plants in water). It can be an elegant closed system whereby the fish produce waste which, in turn, circulates to feed the plants which, in turn, purify the water for the next school of aquatic generations. Bioponics is a term that first evolved at the NOSB meetings. Bioponics is a modified hydroponic system that uses many of the same processes and principles as organic field growers. Bioponic producers utilize containers as small as a bucket or as big as a cement-lined field. These containers are filled with organic compost, coconut husks or other compostable plant materials. The plants are fed both solid and liquid-based organic fertilizers and inoculated with compost tea and earthworms. Soil-dwelling organisms commonly found in soil-based agriculture can thrive in this compost or Bioponic growing media in a container system. What do the organic regulations say? According to the NOSB definition of organic production published in April 1995: “Organic agriculture is an ecological production management system that promotes and enhances biodiversity, biological cycles and soil biological activity. It is based on minimal use of off-farm inputs and on management practices that restore, maintain and enhance ecological harmony.” Soil is not mentioned in this definition but continues to be the stronghold of those opposed to its continued certification because soil management is mentioned in many other places. The USDA organic regulations don’t currently prohibit any of the “Ponics.” Certification to the USDA organic standards is allowed, as long as the certifier can demonstrate it is certifying in a way that complies with the standard. In 1995 the NOSB recommended that: “Hydroponic production in soilless media may be labeled certified organic if all provisions of the OFPA have been met.” As a result, several Accredited Certification Agencies (ACA’s) began certifying the “Ponics” as organic. Then in 2010, a different NOSB reversed the recommendation stating that hydroponics systems should be prohibited. The NOP did nothing with the recommendation at that time. 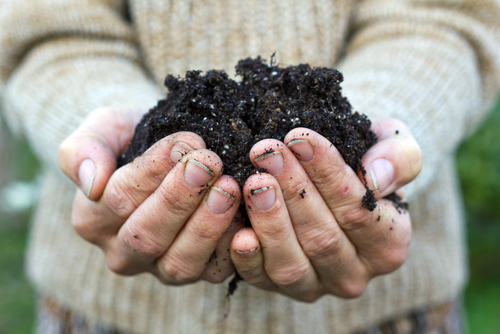 Thereafter a group of soil-based farmers renewed a petition to revoke the certification of all currently certified organic operations that do not grow directly in the outmost crust of the Earth. The NOP assigned a task force to dig deeper, and in the summer of 2016, their report was released. The members split into two groups and came to no consensus. The two basic philosophical arguments are that organics is either about the cycling of natural nutrients and the elimination of harmful chemicals (Pro-Ponic) or organics is about the soil itself (Anti-Ponic). Today high volumes of fresh produce items like tomatoes, cucumbers, bell peppers, strawberries, blackberries, raspberries, blueberries, living lettuce, living herbs and mushrooms are being produced at an ever-increasing percentage of the organic supply. This will make the “Ponic” systems discussion red-hot at the NOSB meeting in Jacksonville, Florida, on October 31st– November 2nd. The NOSB decision will impact producers on both sides of the discussion. An outright ban would impact existing supplies and prices, potentially helping soil-based growers. It would negatively impact hundreds of certified producers currently growing in soilless conditions. With no apparent answers ahead it’s clear that livelihoods hang on both sides of the debate. What’s unclear is who will claim survival of the fittest in this evolutionary saga. This entry was posted in Organic Policy and Regulations, Social Implications in Agriculture, What is Organic and tagged National Organic Program, National Organic Standard Board, Organic Agriculture, Organic certification, Organic Farmers, Organic farming, Organic food. Bookmark the permalink. Seems like the real discussion of the real food “value” in hydroponics is NOT being discussed. If one looks at experiences in hydroponics, there are real issues in the “qualitative” characteristics of what is grown. Most specifically, the big issue is Calcium. Plain and simple, hydroponics cannot get enough Calcium into their products. In a well managed soil there are should be 1 potassium to every 10 or 12 Calciums. In hydro, the relationship is in reverse! This means to the consumer, lousy flavor, no shelf life and at the end of the day, really a poisonous piece of produce! That is the big issue, which it seems is being ignored. It is also a big issue in organic growing in soils, most especially for organics, as no one does the math or even tries to amend correctly thinking that compost or worm castings are balanced, when in reality, they are not! Much of what is labelled as organic in reality is not very healthy nutritionally. Locally acquired organic material has the same chemical profile from whence the organic material was gathered. This means that organic farmers are actually making their dis-balances worse, not better! It is very scary situation where most organic nor conventional growers know how to use a soil analysis much less amend correctly! Result? Overall lack of quality and most importantly for the grower, lack of yields. My organic avocado and organic limes here in Peru produce nearly double that of my neighbors! And our quality stands out in the market as a result, nearly always delivering the wow effect and resulting consumer pull. For those that remember, Pina Perfecta (pineapples) from Costa Rica. Even Dole couldn’t believe the productivity or the quality! I am not responding to Michael’s message, but rather urge the NOSB to think about alternative resolutions to the “ponics” challenge that could leave everyone at least as well off as they are now, and which might avoid yet another, damaging, inside-the-organic-tent knock down, dragout that in the end leaves everyone worse off and sows confusion and distrust in organic. It is undeniable that there are gradations of “quality” in the organic food supply, and that products with qualitative distinctions are going to find a way to distinguish themselves in the market. I think it is time the NOP rule is opened up to allow for some new, science-based, verified qualifiers on certain organic products with unique attributes. E.g., 100% forage-fed organic livestock products are in the market now, and the products are undeniably nutritionally superior to other organic products and conventional, CAFO-raised meat/milk/eggs. 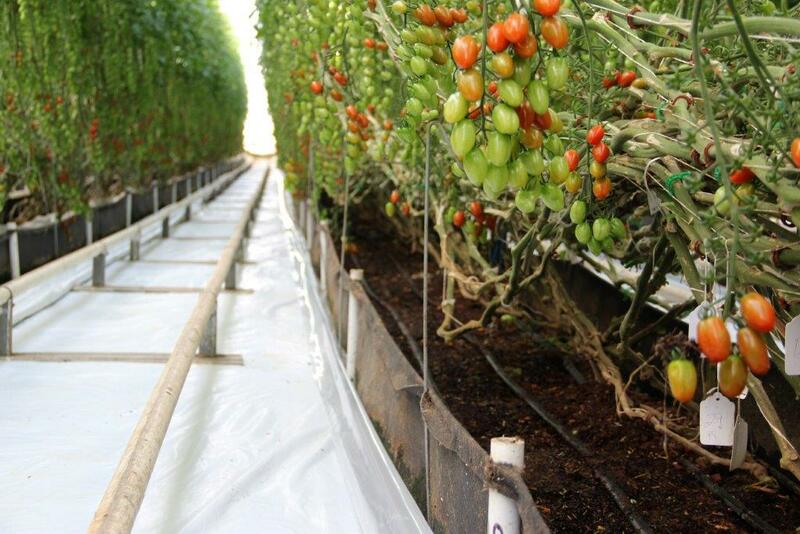 Food grown in ponics systems are different from food grown in soil, in several different ways. Why not come up with a USDA Certified Organic label customized to apply to food from a ponic system? Some people won’t care that an organic ponic tomato was grown on a rooftop in Manhattan, others might. My gut sense is the resolution to this important challenge lies somewhere at the interface of solid, balanced information, transparency, and consumer choice. Pitting soil ag vs. ponics ag is bound to create losers and collateral damage. I am hoping the sharp minds on the NOSB, and across our community, can come up with a better path forward. I am sure it is out there. Organics is already having a huge credibility problem, agreed. And yes, the market always sorts itself out. It won’t support garbage very long. Seems that hydro is already considered “Organic” when done correctly, which I personally believe is a big mistake. Organics needs to set its’ objectives clearly. Quality is everything, that is one of the key reasons that consumers look for Organic, believing that it is a “better” product and that it is grown in such a fashion that one does not have to dread what invisible dangers exist in that next mouthful. However, as consumers become more aware, Organics has had to take on issues such as air freight or even sea freight disqualifying some Organic produce as it is being imported from a distant land. So the bar is going up, not down. If we know that some methods don’t lend them selves to making the bar higher only lower, should be really be accepting that type technology or running away as fast as possible? I vote for a higher bar, not a lower one. Seems you might agree Charles as that is what seems to be your main argument, higher quality. Don’t lower the bar! We need to defend minimum standards and strive for higher ones. This is why much produce that is planted and only harvested (organic by ignorance) is no longer considered Organic in much of the world…. The USDA organic regulations describe organic agriculture as the application of a set of cultural, biological, and mechanical practices that support the cycling of on-farm resources, promote ecological balance, and conserve biodiversity. Some of the ponic systems may fulfil this in site specific areas. If they do I am not sure we are lowering any bar. Chuck is right on, as usual. I have argued this point with my soil grown organic activist friends at length, and they have been totally evasive on the idea of requiring specific labeling for any ‘ponics’ grown produce. The product quality issue is one that cannot be addressed by organic standards, which must remain a strictly process-based claim. But there is no reason why additional label claims, as verified separately, can’t be made. The grass-fed organic label is a good example. You, and the NOP (USDA lawyers), have conveniently chosen to ignore this key part of the very definition of “organic” agriculture. There is no way that soil-less production can meet this definition. Thus, such production cannot be eligible to bear an organic label. If, as many claim, these soil-less systems are so necessary, resource conserving and produce quality food, then they should use their own label and let consumers decide. But, the organic label was made by and should be reserved for we farmers with soil under our feet and fingernails! Thanks Doug. I appreciate and respect your point of view – I can see both sides. Thanks for keeping discussion on this topic active. I would like to add that the decision will have a significant impact on consumers. According to data from the Nielsen Perishables Group FreshFacts® Last 52 Weeks Period Ending February, 25th, 2017 report, organic tomatoes produced in greenhouses primarily grown in containers now account for 23 percent of retail sales. The percentage of sales for peppers is 44 percent while the number is 37 percent for cucumbers based on the same data source. Revoking certification for nearly a third of the supply of these important vegetable sectors will severely limit organic supplies and drive prices for fresh organic produce out of reach for far too many families. In addition, preliminary results of research from the University of Laval shows greater biological activity in organic container systems than in organics grown in the outer crust of the earth in loamy and sandy soils when holding products grown, rotations, other inputs and seed variety constant over a three-year production period. The NOSB has a challenging task ahead. I think that their decision goes well beyond outer crust of the Earth versus containers. Rather I think they are wrestling with the question of should organic producers look for continuous improvement to minimize the negative impacts of farming on the broader ecology or just codify existing practices that keep organics frozen in its current state. Should growers work to minimize their water use by 80 percent in a dry region that relies on irrigation by using containers? Should growers work to eliminate nutrient leaching from their farms in sensitive watersheds like the Chesapeake Bay by using containers? Should growers incorporate methods like greenhouses and containers to enhance crop health and prevent weed, pest, or disease problems without needing to rely on approved organic herbicides or pesticides? Ultimately, I support the current USDA definition of organic production in its regulations that reads “Organic production. A production system that is managed in accordance with the Act and regulations in this part to respond to site-specific conditions by integrating cultural, biological, and mechanical practices that foster cycling of resources, promote ecological balance, and conserve biodiversity.” In my mind, these standard demands growers examine what makes the most sense for their crop on their farm rather than imposing an approach that may make sense for a handful of traditional organic production regions. OMRI recently listed water as acceptable for use under USDA Organic regulations and OFPA. Note that the water can be, literally, a toxic mix of prohibited substances yet still meet, according to OMRI, OFPA and USDA Organic regulations. Note that the cited “unavoidable residual environmental contamination” (UREC) provision of USDA Organic only applies to soil and then only after a three year transition period. Think about what this means: certified USDA Organic (most likely by CCOF) products grown in water too polluted to swim in, drink, or maybe even water your own garden. Description: Levels of contaminants in crops grown with water polluted by unavoidable residual environmental contamination cannot exceed 5% of the EPA tolerance for those contaminants in conventionally grown crops. An investigation to determine the cause of contamination may be conducted by appropriate government officials or the certifying agent. Uh, your assertion is dead wrong if you just read the OMRI listing you cite. It refers to an upper limit of 5% of EPA’s tolerance for any contaminants IN THE WATER. So runoff from conventional fields that contains a lot of bad stuff would not be permitted for organic production, even for soil irrigation. Anyone who decided to use polluted water to grow ANY crops would have to be nuts, as it is likely to damage the crop they are trying to grow. Yogi Restful Sleep is a caffeine free herbal tea to promote a healthy sleep. Valerian, Chamomile, Passion flower and skullcap are traditionally used in herbal medicine as a sleep aid. Also, Research suggests that people with mild #eczema who drink #OolongTea 3 times per day may show improvement in itching & other symptoms. Compounds in the tea called Polyphenols appear to be responsible. Here is my link to shopping for natural food products – https://www.www.CommunityNaturalFoods.com/t/food-and-drink/drinks. I agree, as was stated by Doug Crabtree: “If, as many claim, these soil-less systems are so necessary, resource conserving and produce quality food, then they should use their own label and let consumers decide. But, the organic label was made by and should be reserved for we farmers with soil under our feet and fingernails!”. As of 2016 biodynamic techniques were used on 161,074 hectares in 60 countries. Germany accounts for 45% of the global total; the remainder average 1750 ha per country. Biodynamic methods of cultivating grapevines have been taken up by several notable vineyards. There are certification agencies for biodynamic products, most of which are members of the international biodynamics standards group Demeter International. Thanks Lance. Glad to see you commenting! – Biodynnamic certification already exists and is probably how you know how much land is under BD management. Demeter certification, at least in this country, requires compliance with the USDA organic requirements plus additional practices as you describe. – USDA organic is not an aspirational standard, but more like a “floor.” Every producer is encouraged to aspire to do better as much as possible, but by continually “improving” the standards the ability of new and transitioning producers to get to the “floor” is restricted. – Producers who believe that their soil-grown product is inherently superior to hydro-aqua-bio-ponic production can highlight that claim to markets and customers, much as they do now for qualities such as gluten free, vegan friendly, and similar attributes. If this claim is convincing, customers will choose soil grown over hydroponic. Thanks for the clarification Grace!